Common sense thoughts on health and conservative medicine from a family doctor in Washington, DC. Last week, I was speaking on the phone with Dr. Roland Grad, a family physician at McGill University and co-author of the new book "Look It Up! What Patients, Doctors, Nurses, and Pharmacists Need to Know about the Internet and Primary Health Care." We were discussing the (to us, preposterous) notion that there would be no future for primary care physicians because we will all be replaced by cognitive computing / artificial intelligence (AI) systems such as IBM's Watson. Roland told me that whenever someone asks him about this, he points out that Star Trek clearly shows that there will be human doctors well into the 24th century. Even the holographic Doctor on the U.S.S. Voyager is only pressed into service after the entire human medical staff is killed in an accident. Many of the prospective medical students I interview have asked me about how AI will influence how I practice family medicine in the future. A recent Perspective on machine learning in the New England Journal of Medicine asserted that "the complexity of medicine now exceeds the capacity of the human mind." The authors argued that since doctors can no longer keep all relevant medical knowledge in their heads, and "every patient is now a 'big data' challenge," we will soon need to rely on massive computer-generated algorithms to avoid diagnostic and treatment paralysis. It's no surprise that neither author of this piece is a family physician. Since I began my residency 16 years ago, and well before that, I knew that no matter how much I learned, it wouldn't be possible to keep everything I needed in my head. I never had to. In medical school I carried around a variety of pocket-sized print references, and in residency and clinical practice I had several generations of Palm Pilots and, eventually, smartphones that allowed me to look up what I didn't know or couldn't recall. The same goes for keeping up with the medical literature. Although I regularly read more journals than the average generalist (nine*), I know that there's no way that I can possibly read, much less critically appraise, every new primary care-relevant study. Drs. David Slawson and Allen Shaughnessy have argued that rather than pursue that hopeless (even for a super-subspecialist) task, clinicians should be taught information management skills, which consist of foraging (selecting tools that filter information for relevance and validity); hunting ("just in time" information tools for use at the point of care), and "combining the best patient-oriented evidence with patient-centered care." At its heart, Watson for Oncology uses the cloud-based supercomputer to digest massive amounts of data - from doctor's notes to medical studies to clinical guidelines. But its treatment recommendations are not based on its own insights from these data. Instead, they are based exclusively on training by human overseers, who laboriously feed Watson information about how patients with specific characteristics should be treated. Some might wonder whether this new automated world of information will create a medical world that is dominated by artificial intelligence, where doctors - if we even need them anymore - will just repeat what the machines say. On the contrary, as more information becomes readily available, doctors, nurses, pharmacists, and allied health professionals will become more important as the interpreters of that information in accordance with the specific clinical and social history, values, and preferences of the patient and her or his family. Right. I couldn't have said it better myself. Can social media misuse be a downer? I am a board-certified Family Physician and Public Health professional practicing in the Washington, DC area. 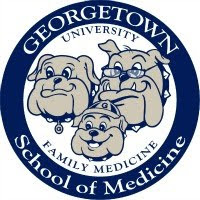 I am also Deputy Editor of the journal American Family Physician and teach family and preventive medicine and population health at Georgetown University School of Medicine, Uniformed Services University of the Health Sciences, and Johns Hopkins University Bloomberg School of Public Health. I am paid to provide independent editorial and medical consulting services to the American Academy of Family Physicians, John Wiley & Sons, BHS, and WebMD. However, the content of this blog reflects my personal views only, and does not represent the views of any academic institution, publisher, BHS, or the AAFP. by Vincent T. DeVita Jr.
Share book reviews and ratings with Kenny, and even join a book club on Goodreads. Can Ethical Labelling Make Food Systems Healthy, Sustainable, and Just? 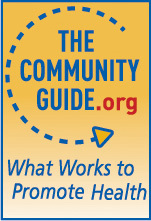 Measles: Do You Need A Booster Shot? 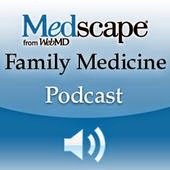 The Academic Medicine Podcast is now available on Google Play, Spotify, and Stitcher!